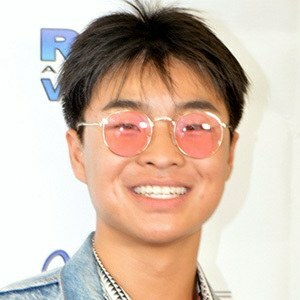 Chinese-Indonesian actor well known for his portrayal of Shuji Ishii-Peters in the Hulu comedy series PEN15 . He was also featured in the show Legendary Dudas and portrayed young Jin Kazama in the Tekken film franchise. He trained in the Japanese Shotokan style of karate and has competed in the North American Sport Karate Association (NASKA) circuit. He guest-starred in the Netflix comedy series No Good Nick . He was born and raised in Los Angeles. He played the protective older brother to Maya Erskine 's character in PEN15.